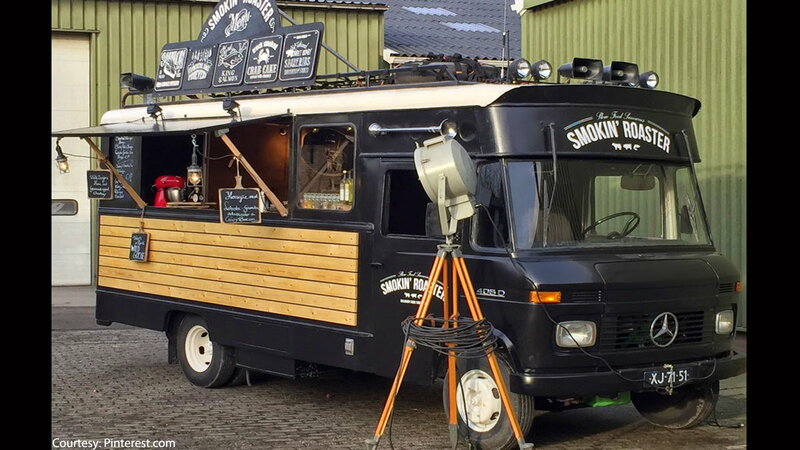 In observance of National Fast Food Day, here are some Mercedes-Benz vehicles that have been transformed into taste bud-tantalizing food trucks. When three Dutchmen needed a tough-looking truck for their surf 'n turf food business, this Mercedes-Benz 406D stole their hearts. Soon after adding some wood paneling, a fresh coat of stark black paint, a new fuel pump and starting engine, this diesel-operated gem was open for business. Watch this video to learn more about how this M-B truck came to be the only choice for operating their business. >>Join the conversation about Mercedes-Benz food trucks right here at MBWorld forum! 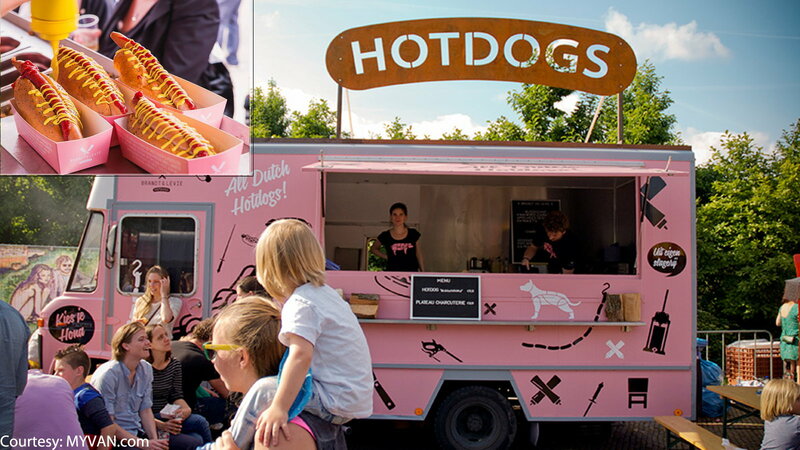 This bright pink Mercedes-Benz 508D truck travels around the world serving up Pinterest-worthy hot dogs. As if the smell of sizzling hot dogs isn't enough, the design is definitely attention-grabbing, especially with the giant "HOT DOGS" sign atop the truck beckoning hungry passersby. 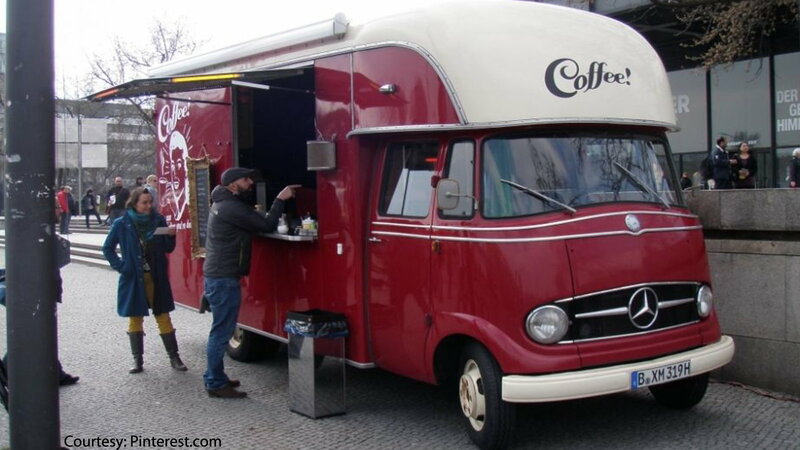 This 1964 Mercedes-Benz 319D was converted into the perfect porter for serving up warm morning provisions. Revitalizing the truck with this classic look was labor-intensive, what with having to replace the braking system, adapt the clutch, and upholster the interior in the very least. Now this once-rusted-out delivery truck looks as fresh as the coffee and pastries it delivers. 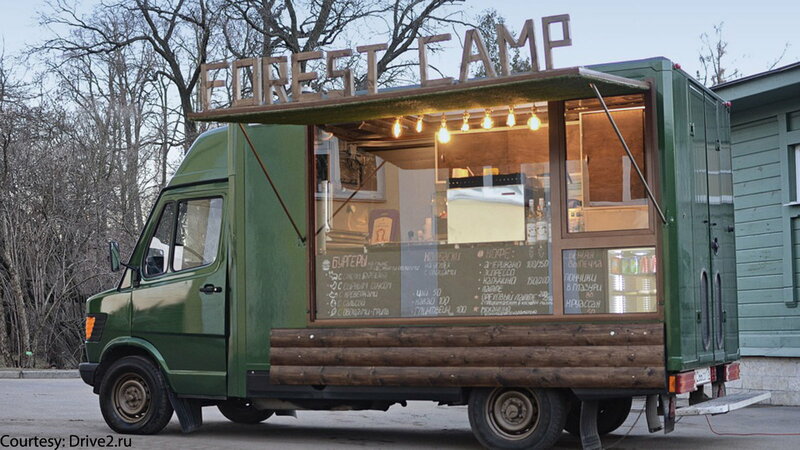 A Mercedes-Benz T1 model truck from 1995 serves as the mode of operation and transport for the Forest Camp food truck in Russia. The interior was fitted with elements of an industrial style, with stainless steel tabletops and appliances, and exposed light bulb lamps. Hotdog.de is a popular catering company in Germany. 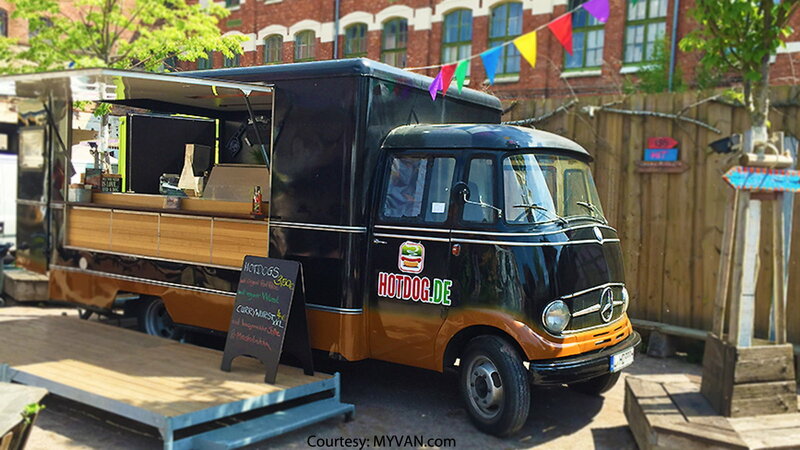 Owner Christoph Kilz expanded his business to the food truck market with this beautifully renovated Mercedes-Benz L319. Capable of whipping up 200 hot dogs per hour, the truck is equipped with an oven and cooling modules, and takes just 30 minutes to set up for lunch hour.